Responsive web design ensures that your website is shown optimally on every device such as a desktop, tablet or smartphone. The web design adapts according to the screen size. Due to this, the website remains easily readable and navigable. Thanks to this user-friendly design, website visitors will also read the entire website more quickly. 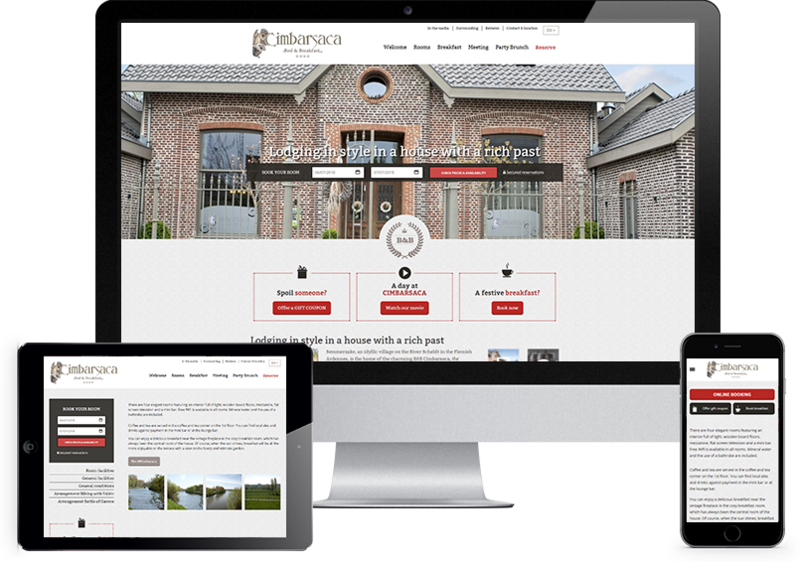 Responsive web design has become the norm. Search engines, such as Google, check if your website is responsive and up to date. By regularly updating the content of the website, more people will find it. Stardekk has been building websites for hotels, B&Bs and restaurants for 20 years. These websites all have a personal touch, so they are unique. Through our years of knowledge of search engine optimisation (SEO) we help to increase your online presence. We offer 3 types of web design: Onepager, Template and Custom website.